Housing markets across the United States are making a recovery and Burbank is no exception. Housing trends projected for 2013 anticipate an increase in home prices of around 0.6% by the third quarter, which is encouraging news for owners of the homes for sale Burbank has to offer. The unemployment rate is on the decline as well, making the city a desirable place to settle down. Burbank is located in Southern California about 12 miles from Downtown Los Angeles. It is surrounded by Glendale, North Hollywood, Griffith Park, and Toluca Lake. This 17 square mile area’s commercial heart was once popularly known as “Beautiful Downtown Burbank” and it’s still often referred to as such to this day. This is a testament to the city’s enduring appeal as a great place to live, work and play and it’s no surprise that Burbank houses for sale are being snapped up almost as quickly as they are listed. Houses for sale in Burbank come in a wide range of styles and broad spectrum of price points. The housing stock typically varies by neighborhood, with the larger luxury homes up in the hills, classic Craftsman and bungalow homes in the flats, and so on. The city’s topnotch facilities and educational options are also a big draw. The city has been recognized nationally for the high quality of its public schools and amenities are within driving or walking distance of most of the homes for sale Burbank has to offer, including movie theaters, shopping and dining options, and more. 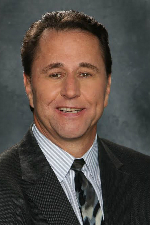 Dan Soderstrom has enjoyed helping people with their housing needs for over 25 years. He is quite in tune with the diverse trends of the local housing market and he looks forward to going the extra mile for you.